Reindeer herders. 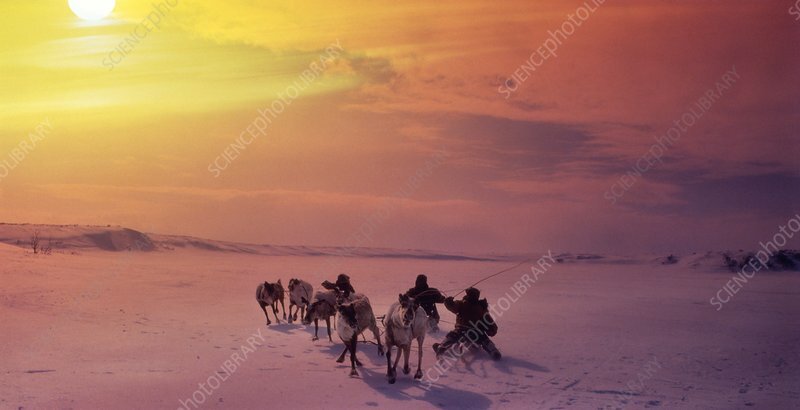 Men on sleds being pulled by reindeer (Rangifer tarandus). This is a traditional form of transport in the extreme north of Russia. Photographed in Chukotka Autonomous Okrug, Russia.